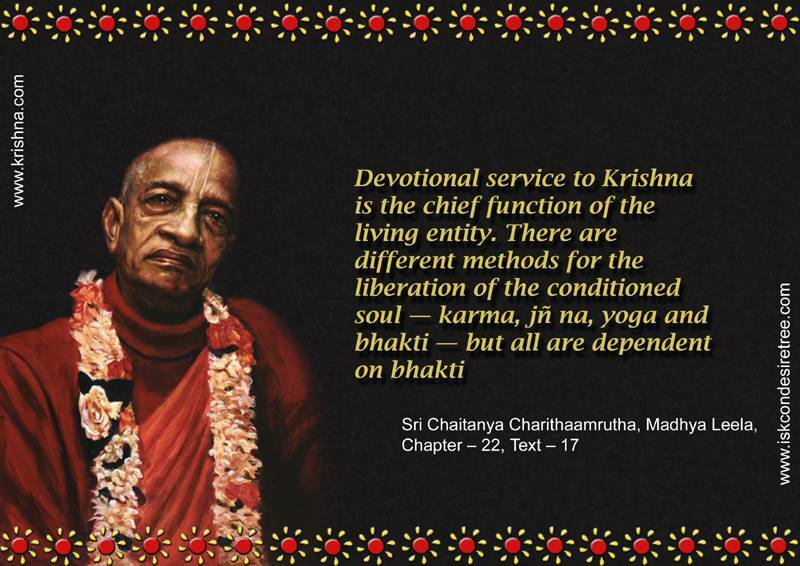 Devotional service to Krishna is the chief function of the living entity. There are different methods for the liberation of the conditioned soul Karma, jnana, yoga and Bhakti but all are dependent on bhakti. — Sri Caitanya Caritamrita, Madhya lila, 22.17.